The annual agreement provides financial sponsorship and community engagement to Chicago and Milwaukee through the funding of events, volunteering on Board and Advisory committees, and the technical mentoring of i.c.stars students. January 24, 2019 – Red Foundry, a leading provider of mobile product design, development and digital innovation services in the Chicago area, today announced the renewal of a sponsorship agreement with i.c.stars. For over 19 years, i.c.stars has been developing future IT and community leaders through their innovative and intensive project-based training programs designed to develop the business and technical skills of program participants. 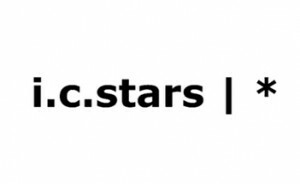 “We are honored to have worked closely with i.c.stars over many years, and excited to build on that relationship by reaffirming our commitment to i.c.stars and renewing our sponsorship. We are also excited to apply our commitment to IT community engagement through the hiring of i.c.stars graduates. We look forward to contributing to their ongoing national expansion and assisting with the delivery of their mission to talented IT professionals,” commented Rich Linden, Red Foundry Partner. Red Foundry is a mobile application design and development consulting firm. Founded in 2009, and led by seasoned business and technology executives, we help our clients “Mobilize Their Business” by creating award-winning native and cross-platform mobile applications for the iOS and Android platforms. Utilizing our mobile optimized methodology, we partner with entrepreneurs and early stage startups to launch their mobile-enabled business, and we work with established corporations to build mobile products that support their digital transformation. For more information, visit www.redfoundry.com, or call 888.406.1099. Formed in 1999, Inner-City Computer Stars Foundation (i.c.stars) is a national technology workforce training and placement program that prepares young adults for technology careers and community leadership. Using project-based learning and full-immersion teaching, i.c.stars has trained more than 500 individuals and places 90 percent of qualified graduates in jobs. Participants see their annual earnings increase by an average of 300 percent as a result of the program. In addition to Chicago, i.c.stars has affiliates in Columbus, Ohio, and Milwaukee, Wisconsin. More at http://www.icstars.org.